Littleport is the largest village in East Cambridgeshire, England, approximately 6 miles north of Ely and 6 miles south-east of Welney. The legendary founder of Littleport was King Canute. A fisherman gave the king shelter one night, after drunken monks had denied him hospitality. After punishing the monks, the king made his host the mayor of a newly founded village. 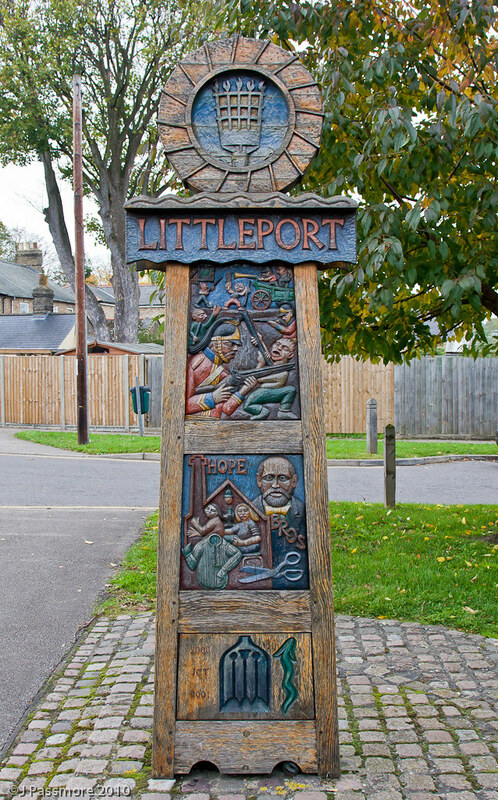 Littleport was the site of the Littleport Riots of 1816, after war-weary veterans from the Battle of Waterloo had returned home, only to find that they could get no work and the grain prices had gone up. They took to the streets and smashed shops and other buildings until troops were brought in. St George's church registers were destroyed during the riots. The remaining registers start from 1754 (marriages), 1756 (burials), and 1783 (baptisms). Some original documents relating to the riots are held in Cambridgeshire Archives and Local Studies at the County Record Office, Cambridge. Thomas Peacock, who founded the gentlemen's tailoring chain Hope Brothers, was born in Littleport in 1829. The first Hope Brothers shirt-making factory was opened in the village in 1882. For a period in the 1940s and 1950s, Hope Brothers were also manufacturers of the excellent England football kit. The factory was eventually taken over by Burberry. From 1979–83, Jim Burns guitars were basedinPadnal Road in Littleport. They produced a variety of guitars including the Steer, popularized by guitarist Billy Bragg. Littleport is home to two different legends of spectral black dogs, which have been linked to the Black Shuck folklore of the East of England but differ in significant aspects. Local folklorist W.H. Barrett relates the story set before the English Reformation of a local girl gathering wild mint from a nearby mere who was rescued from a lustful friar by a huge black dog, both of which were killed in the struggle. The local men threw into the mere the body of the friar but buried with honour the dog, which was said to haunt the area after that. Cambridgeshire folklorist Enid Porter relates stories dating from the 19th century of a black dog haunting the A10 road between Littleport and the neighbouring hamlet of Brandon Creek, according to which local residents would be kept awake on dark nights by the sounds of howling and travellers would hear trotting feet behind them and feel hot breath on the back of their legs. Local legend says that the dog was awaiting the return of its owner, who had drowned in the nearby River Great Ouse in the early 1800s. This haunting reportedly came to an end in 1906, when a local resident drove his car into something solid, which was never found, extraordinarily it happened next to the spot where the dog's owner had supposedly drowned. In 2003, a stague of a well known motorbike was unveiled in Littleport to commemoate the centenary of the motorcycle company that has links to the village. William Harley, father of the company's co-founder William Sylvester Harley, had been born in Victoria Street, Littleport, in 1835 and emigrated to the United States in 1859. Congratulations Tinkers<3 on your first ever FTF!! !